It looks like you’ll find the best Black Friday deal at Target with the Dyson 33 Multi-Floor Upright at $279. 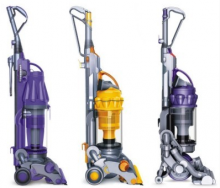 Below, you’ll find all the Black Friday deals organized by store for the Dyson. If you live near a Fred Meyer, they are also offering a free Allergy Kit with any Dyson purchase on top of their low price!